It is never too late (or early) to start thinking about goals, motivation, and yes, finally getting organized! To help guide you on this journey, I have put together a video review of two different planners. Watch and let me know what you think! 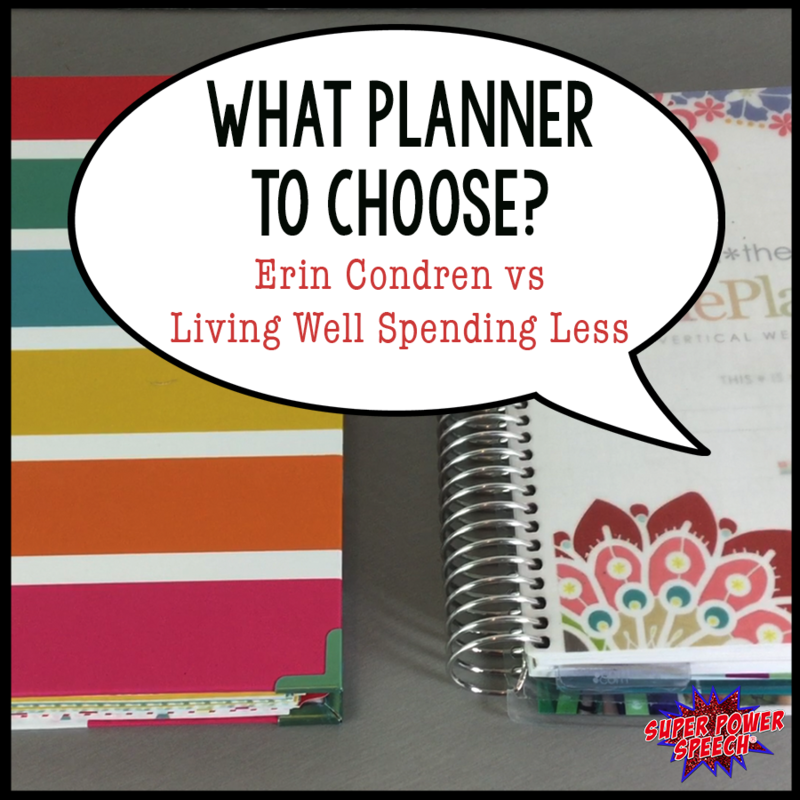 If you want to purchase the Erin Condren planner, click here for a discount (and I receive a credit). Thanks! I agree! This year in an effort to try to rein in the chaos of our life, I asked my sister about her planner which she just happened to have open on her counter. She is a commercial interior designer with a company as well as freelancing for another designer. She juggles those appointments, deadlines, and installs with managing her husband’s traveling business schedule and activities for three very active children. She introduced me to the Erin Condren Life Planner and I came home and ordered an 18-month one to get me through the last half of 2016 as well as 2017. My schedule became even more complicated when I reported back to work for the year in August and found out that my assignment had changed. To put it bluntly, there is absolutely no way I would have made it through the fall semester if it hadn’t been for the planner. I am too mobile over multiple sites and tasks with the district and not computer savvy enough to manage multiple planning systems like Cheri, so the Life Planner has truly become a Life Saver for me! I can’t recommend it enough. I enjoyed seeing how Cheri used hers in the video and would like to learn more about how others use theirs. I know that there is so much more I could be doing with mine and I really want to expand its usefulness in my personal and professional lives. Thanks, Cheri! About the photo 360: Is this something you put together on your own, is it an app, or is it a computer program? WELCOME TO ONE OF THE 1ST SLP BLOGS IN THE WORLD! This blog contains over 700 posts and 10+ years of ideas. Grab your super cape and some coffee and browse for a while! Copyright © 2019 Super Power Speech®. All Rights Reserved. Blog by Moonsteam Design.